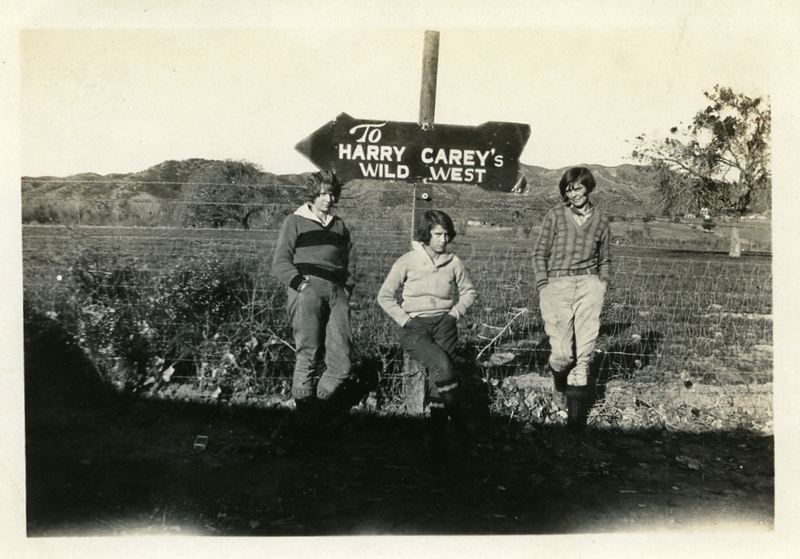 Tourists in front of arrow sign stating "To HARRY CAREY'S WILD WEST" in San Francisquito Canyon, 1920s. In writing on back of photo "at Harry Carey's Ranch. We're not mad - just sleepy". AL2073: 9600 dpi jpeg of original photograph. Collection of Alan Pollack.